With December finally here, businesses have much planning to do to get ready for the new year. Keeping up with new technologies and standards could stress businesses with legacy systems. To get ready, it could be helpful to think of the most common trends and take on strategic sourcing to increase efficiency and proximity. Some of the necessary measures will simply require organizations to expand on what they've done before to comply with new regulations. It isn't just businesses investing in green practices in the coming years. Other organizations could influence basic logistics practices. The Panama Canal is set to prioritize low-emissions ships in 2017, according to an October statement, for instance. It will specifically use the Environmental Premium Ranking, a system which will give customer ranking benefits to those who meet at least one of four requirements. These include meeting low nitrogen oxide, Environmental Ship Index and Energy Efficiency Design Index thresholds. The Canal's Administrator, Jorge Quijano, outlined the goals of this new focus, which will take place on the first calendar day of 2017. "The Panama Canal is set to prioritize low-emissions ships in 2017." "We look forward to working with our customers and industry partners to further bring value to their businesses and to our route, all while reinforcing commitments to sustainability and environmental protection," Quijano said. Depending on how influential this program is, it could represent a new way for organizations to encourage green practices. 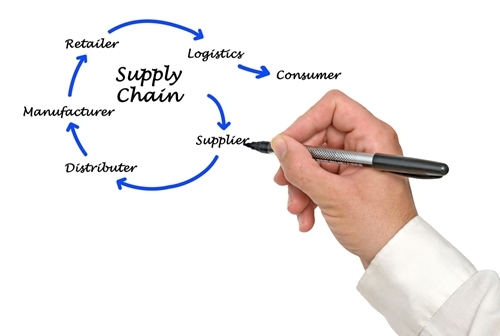 Both physical and cyber security risks influence the state of the modern supply chain. For example, pharmaceutical businesses may have to adapt to the increasing requirements of the Drug Supply Chain Security Act. While the full measure won't take place until 2023, GS1 recently announced special guidelines to promote security and data exchanges. Businesses will have to adapt to serialization expectations, and doing so could represent a major change of businesses don't build on their existing framework. The source said that it would "extend the guideline" as industry conditions evolve. Obviously it's too early to tell whether or not the majority of supply chains will end up faster by the end of 2017. However, it at least appears to be a goal, according to an AEB survey. Supply Chain Digital reported on the results, explaining that 84 percent of the transport and logistics sector rank supply chain speed as either "very important" or at least "important." In addition, the AEB Global Trade Management Agenda 2017 reportedly said that speed will be a significant challenge for supply in 2017. Minimizing risk was another major concern, although it seemed to rank under speed in terms of importance. With complex supply chains spread across the globe, implementing changes likely won't be simple, including for those who want to support low cost country sourcing/nearshoring to keep operations domestic. Strategic planning will be one way for supply chain companies to handle increased risks in the future. Implement these solutions soon to pay closer attention to where and how shipments travel.